When looking into a way to entertain the people at your party, you might lean back on an old childhood favorite: party games. However, you do not necessarily have to stick to the straightforward games that you played when you were a child. Some of the most entertaining options available today are specifically geared towards adults looking to have a good time. We will be giving you ten of the best party games for adults, using different categories related to pricing and the various pros and cons of the games in order to help you understand which of the best party games for adults is suited for you and your social situation. 1. What Are the Best Party Games for Adults? 2. How Do Party Games for Adults Work? 4. Who Are They For? 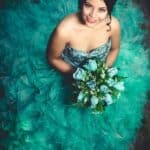 Ten of the best party games for adults are listed below, but we would like to emphasize that there are far more than ten options available. We highly encourage anyone who is interested in learning more about the best party games for adults to conduct some research of their own and take advantage of the various resources available to help you make a decision. Each of the best party games for adults has their own set of rules and regulations. Some are quick; some are slow. Some require plenty of cards and other props, while others are more simple and allow you the freedom to bend the rules as necessary. All ten of the best party games for adults we have listed below are available for purchase on Amazon. Anyone who is interested in them! Some could potentially be more offensive than others, and you should exercise caution in purchasing them. Know your social circle before you buy. The following products were reviewed based features, pros & cons, price, where to buy, entertainment value, difficulty level, and potential to offend. Key features of this product include 100 black cards that feature fill in the blank sentences, and 500 white cards containing various raunchy, gross, or disturbing topics that are combined with the black cards in order to create the funniest statement. Whoever's combination is chosen as the best for that round gets to judge the next round. Play continues until the winning player hits a certain number of points. Cards Against Humanity is one of the most entertaining games on the market if you play it with the right crowd. It is so well known and beloved among party games that it is a certainty that everyone will know how to play it, and the familiarity will make it more enjoyable. Cards Against Humanity is a very easy game since the goal is simply to use cards to show off your funniest ideas. Cards Against Humanity has the potential to be extremely offensive to certain players and should be chosen as the party game only if you know your audience. This product includes 160 question cards which are designed to ask questions about your group of friends such as "Who is the most likely to become a billionaire?" or "Who is the most likely to survive a zombie apocalypse?" Results are tallied anonymously and players must then guess who voted for them. If you play it with the right group of friends, The Voting Game is very enjoyable and a good way to trigger discussions between your friends. 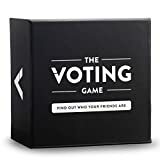 The Voting Game is a very easy game, both in terms of the rules and in the sense that it is designed to be played with friends. The Voting Game does not ask questions on particularly sensitive subjects, but explaning the reasoning for one's votes may potentially offend people if they are sensitive. Key features of this product include 45 photo cards and 255 caption pictures. The goal of the game is to use a caption card to create the funniest meme for a specific photo. If you like memes, What Do You Meme can be very entertaining. If you do not, it is probably not for you. What Do You Meme is very easy to play and should be easy to understand if you have ever played Cards Against Humanity or Apples to Apples. Some of the captions for What Do You Meme can be sexual or inappropriate, although it is hardly the most inappropriate game. This game includes 720 phrases. Your team is meant to guess as many as possible within sixty seconds. Reverse Charades is very enjoyable if you like charades and fast paced games. Reverse Charades can be difficult if the party group playing it features a variety of different age groups, and some of the phrases can be a bit difficult. Reverse Charades is appropriate for all ages. Fight through the laughter and just spit it out! This product includes 576 questions on 288 cards, along with a timer. Once you read the topic, you have to come up with 3 things that fit the topic, but you only have five seconds. PlayMonster 5 S Rule Uncensored can be very entertaining, but it is better suited for parties with a wide age range. Despite featuring simple rules, PlayMonster 5 S Rule Uncensored can be very difficult if you cannot think quickly enough. It is fairly unlikely that you will be able to think of enough inappropriate topics within the 5 second timeframe, and the cards are designed to be family friendly. This product includes 250 disturbing question cards and 100 answer cards in the form of offensive cartoons. The rules are similar to Cards Against Humanity, but the winner is decided by a vote. If your group of friends have a sufficiently warped sense of humor, Disturbed Friends will be perfect. Disturbed Voices has simple rules but can be fairly difficult to actually win. 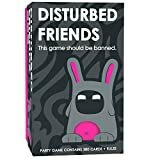 Disturbed Friends is designed to be offensive. This game includes 200 question cards. Each round, a different person is in the Hot Seat and a potentially awkward question is asked. The person in the Hot Seat submits honestly, everyone else pretends to be them, and then everyone must guess the correct answer. Hot Seat is very enjoyable if your friends are willing to poke fun at themselves. Hot Seat is easy to play and hard to win since it requires you to not have recognizable handwriting. Some of the topics in Hot Seat are raunchy, but it is easy to avoid them if desired. 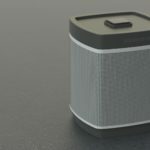 Key Features of this product include a device with four handles. Each player grabs a handle and waits for the music to count down. Once the light turns green, they push a button. The last person to do so gets an electric shock. The entertainment value of Lightning Reaction Reloaded depends on how much you enjoy being electrocuted or watching the reactions of people who get shocked. The difficulty of this game comes entirely down to reflexes. The game is not offensive in the traditional sense. 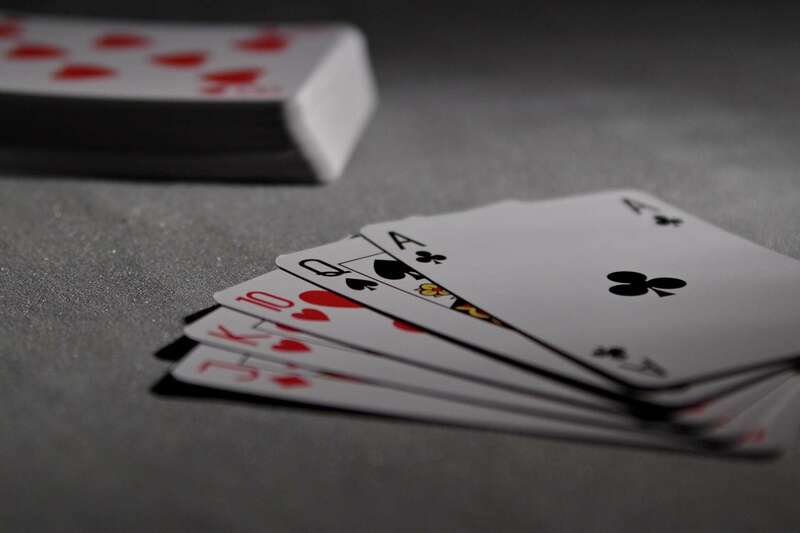 Each player places a card face up on the table. When two symbols on the table match, the players race to give examples of the category on their opponents card. The first to do so gets to keep that card. Once a word has been said it is out of play for the rest of the game. Quickwits can be very funny with the right crowd. Quickwits requires a certain level of verbal dexterity. Some of the topics in QuickWits can be fairly inappropriate to certain audiences. Speak Out is very funny if you enjoy watching your friends say silly phrases while enduring some mild mouth pain. 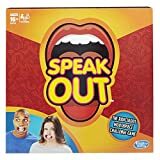 Speak Out can be fairly challenging for both the player using the mouthpiece and the guesser. The phrases on the cards are not inappropriate, but they can be designed to sound like they are inappropriate. Cards Against Humanity is the safest and best pick regardless of how inappropriate your social circle may think it is. 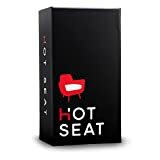 If you really wish to avoid such humor, the best of these games is probably The Voting Game, although Hot Seat is a much more interesting variant on The Voting Game's basic premise.